There has been, of late, much criticism of Sven Goran Eriksson's loan policy with little regard for the fact that he has had but one January transfer window to make permanent signings (at often inflated prices). To that end, attention is now being paid to potential signings that could take place - wishfully or realistically - come the end of the season and this year's main transfer window. Hobbs: Player of the Year last season, could he return? The first major focus is defending - the loans of Miguel Vitor, Ben Mee, Kyle Naughton and Patrick van Aanholt all expire come May and of those four the Foxes should probably be looking to buy two, Mee and Naughton being the best performers this season with Vitor a close third. Those signings would give some continuity from this season into the next. And, should the club once more find itself in Jack Hobbs' good books then a defensive line-up of Naughton, Hobbs, Mee and a loanee at left-back could prove brilliant as the Foxes strive for Premiership glory. In terms of the midfield things already look pretty solid. The current line-up of Richie Wellens, Andy King and Yuki Abe is working at this level and Matt Oakley's current form as a holding midfielder is promising for him to provide a useful contribution there next term, should Abe's form dip as it has done this season. However, some credit should be given to those prophesying that Leicester City should be looking towards a 4-4-2 to solidify the team defensively and, should the club go down this route then some dedicated right and left midfield players will be required. Lloyd Dyer is not good enough to be a regular first teamer at Championship level so left midfield is certainly somewhere to focus on and, whilst Paul Gallagher possesses brilliant ability and - as has already been mentioned by many - is the most improved player under Eriksson, he lacks the pace needed on the wings. Here, Reading's Jimmy Kebe could be a brilliant signing - although it would take a lot to lure him away from the Royals, particularly should they make the play-offs and certainly should they win that competition. Let's not forget either Franck Moussa, whose season at Doncaster has been quietly impressive - perhaps he is ready to step-up to the mark in a Championship first XI, as Max Gradel has done for Leeds this season? There has also been talk of signing a defensive midfielder such as Lee Bowyer: what a signing he would be. If we're talking here about consolidating the defensive capabilities of our midfield, a crunching tackler like Bowyer would be a dream signing. Up front some consistency is needed and perhaps a permanent move for Diomansy Kamara could prove fruitful. It may also be about time that Gallagher has a chance as a regular centre forward: perhaps a signing could be made to partner him as a regular centre forward? Yakubu's inconsistent performances do not justify his wages and the Foxes would be ill-advised to sign him on a long-term contract. Danny Graham has been a popular choice with many fans speculating on summer transfers already and whilst his signature would be a coup, would he leave Watford to move to the East Midlands? Finally, to the situation between the sticks. Neither Chris Weale nor Ricardo have impressed this season with both putting-in some farcical performances at times. Fresh blood is needed at the back, but who to sign? 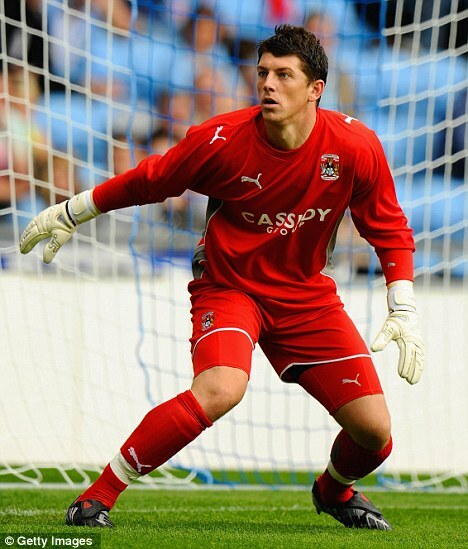 Kieran Westwood is out of contract at the other end of the M69 and is a favourite amongst supporters, whilst Fraser Forster has done well at Aberdeen on loan from Newcastle. Of course over the last three seasons Leicester have used more goalkeepers than any other club, with the likes of David Stockdale and Mark Bunn impressing in short spells at the Walkers Stadium. Perhaps there is scope amongst those emergency loans to make a longer-term switch? Finally what happened to Michael Rensing, the German keeper on trial in January? Clearly he failed to impress Eriksson, but perhaps a similar, older head would not be a bad thing as defensive solidarity is what is needed most of all. So, there you have it - a complete run-down of the current problems and how in an ideal world they might be tackled. These ideas have not arisen from insider information or any crystal-gazing, but merely from one perspective of what might happen to improve our beloved club's promotion prospects as we look forward to 2012. Which area is most important for Sven to build-on for next season? Make your response in the panel on the right. Rensing joined Leicester City on trial somewhere in November of last year, but rejected a subsequent contract offer, deciding instead to move to FC Köln. Westwood would be a nice signing. There's an abundance of those sort of half-decent keepers around though. Murphy at Scunthorpe, Lewis from Peterborough. My prediction is we try and pick James up from Bristol again. I question whether you'd have said Dyer wasn't good enough in the Pearson era. Whilst I agree we could do better, there would certainly be nothing wrong with him. A better version of Vassel in my opinion, more pace, and likes to get to the end-line to make a cut back...a much more dangerous delivery than the floated balls Vassel always produces. We should, however, be looking to sign better players than Dyer, Moussa and N'Guessan for the wide positions of a 442, which as you rightly predict, is what we'll be playing next year. I actually see Sven going for the diamond rather than flat midfield. Wellens will hold with Gallagher in behind. King will be wasted, to some extent, on the right, and your guess is as good as mine for the left of the four. We'll be relying on the full backs for width. As for the defence, the one thing no city fan will question is that we should sign Naughton. Hopefully Tunchev will be returning. I think a back four of Naughton, Tunchev, Bamba, Mee might work supremely, but as it stands there's only one of those players who is a certainty to be playing for us next season! Up top, I'd like to see Waghorn be given a chance with a more experienced striker, such as Kamara. I do like busy little strikers. Similar work rate to Dickov and Hume, both crowd favourites. Give the boy a chance. We're also going to see Schlupp obtain a regular place on the bench. Vassel also looked good in the one game he played there. I actually think we only need one decent striker. I'd, i can see the controversy coming, actually take the Yak. He's scored 7 goals in something like a third of a season. I think he could easily be a 25 goal a season man with some fitness from the pre-season. Must have done very well indeed, considering he plays for Celtic. in finding it very bothersome to inform the reality however I will definitely come again again. Hi, i feel that i noticed you visited my weblog thus i came to return the choose? .I'm trying to find issues to improve my site!I assume its ok to use some of your ideas!! and personally recommend to my friends. I am confident they'll be benefited from this web site. hey there and thanks in your info ? I've definitely picked up anything new from proper here. I did on the other hand expertise a few technical points the use of this web site, since I experienced to reload the site a lot of times previous to I may just get it to load correctly. I were wondering in case your web hosting is OK? Now not that I am complaining, however slow loading cases instances will often affect your placement in google and could harm your high-quality rating if ads and marketing with Adwords. Anyway I am including this RSS to my e-mail and could look out for a lot more of your respective fascinating content. Make sure you replace this once more soon..
you place to make this kind of magnificent informative site.